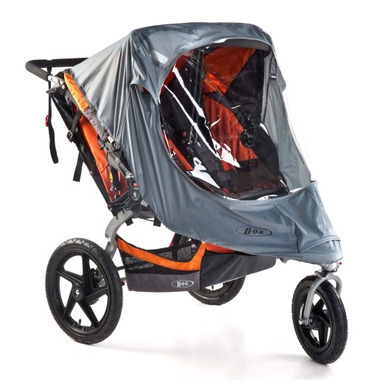 There may be a chance of rain, but inside the stroller babies stay warm and dry without losing the view. Water and wind resistant PU-coated nylon shell keeps babies dry and warm. Clear TPU, water resistant window so your children can see the world and you can see your children. Love the cover! Great for fall and rain. Very easy to get on the stroller and easy to take off just takes few seconds.